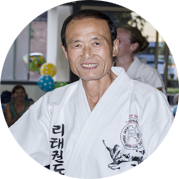 World Master Chong Chul Rhee is the founder and “father” of Taekwondo in Australia and New Zealand having been the first ever Taekwondo Master to come to our shores. 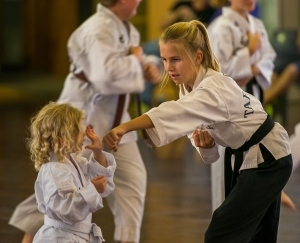 Since then he has headed what is believed to be the country’s Biggest and Best Art of Self Defence organization with over 1500 centres throughout Australia and New Zealand. 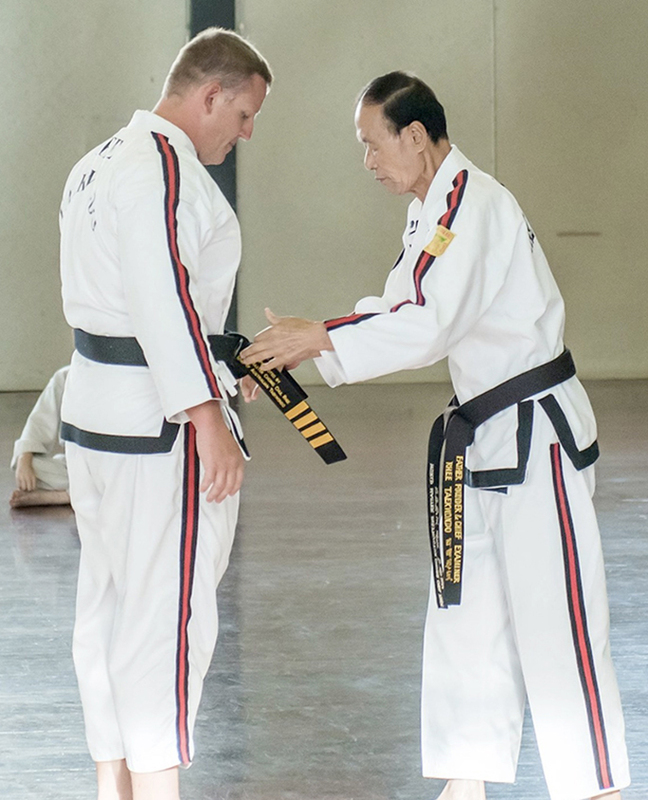 Master Rhee currently travels to Bundaberg 4 times a year to conduct black belt promotions as well as continue passing on the his knowledge, experience, wisdom and passion for becoming a well-balanced Martial Artist in all facets of life. Having World Master Rhee at the head of our organization enables us to continue to have the highest standards and authenticity as a self-defence based Martial Art and ensures that all instructors he promotes and appoints remain World Class! f the Arts most talented instructors. 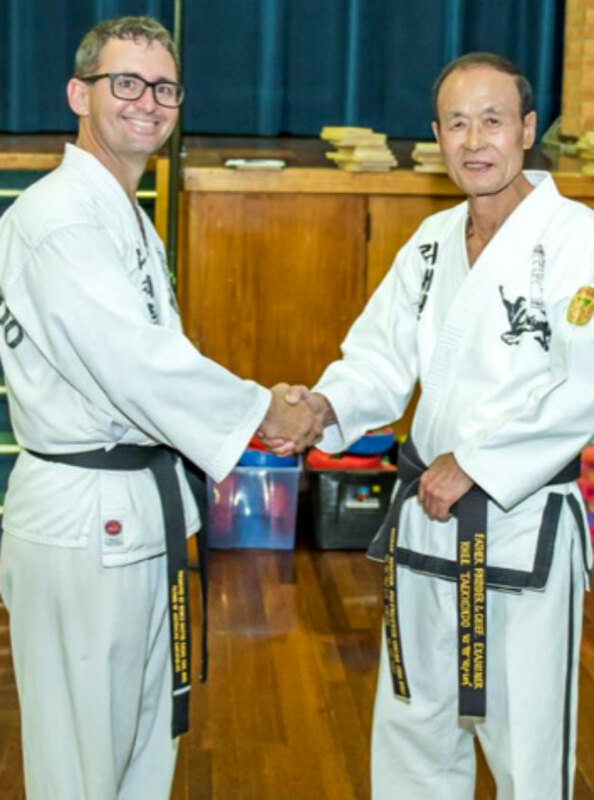 Since 2003 Nathan has been appointed as the Kwan Jang Nim (regional Instructor) for Bundaberg and has furthered his abilities to instruct and help students achieve their self-defence goals directly under the tuition of the Arts founder, World Master Chong Chul Rhee. An advocate for self-improvement and reading Nathan adopts many life lessons and self-education teachings into his classes to give his students the benefit of a balanced martial art lifestyle. 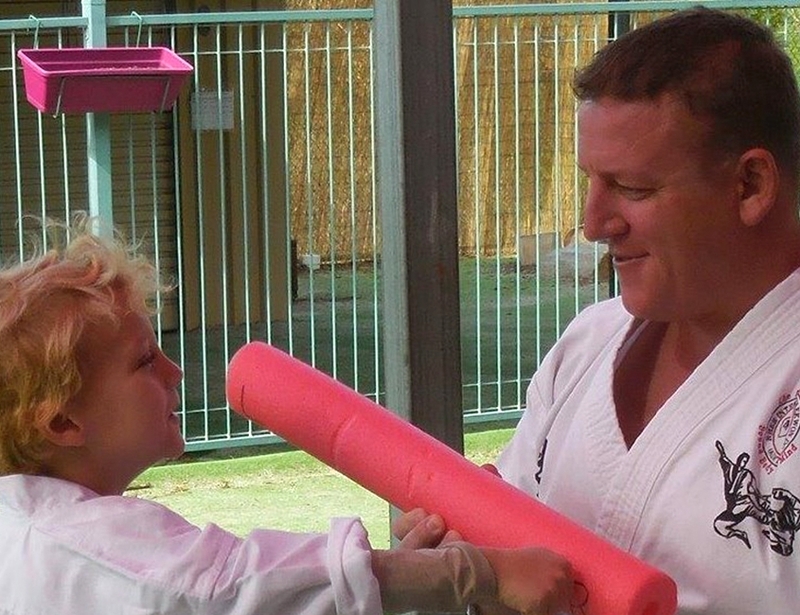 Fun lessons combined with practical self-defence technique he has been able to help hundreds of Bundaberg children, teens and adults become extraordinary people and martial artists. Personally teaching over 100 students a week Nathan also does work with State School sport curriculums, the PCYC Life Skills Program, after school care workshops and local child care centres. 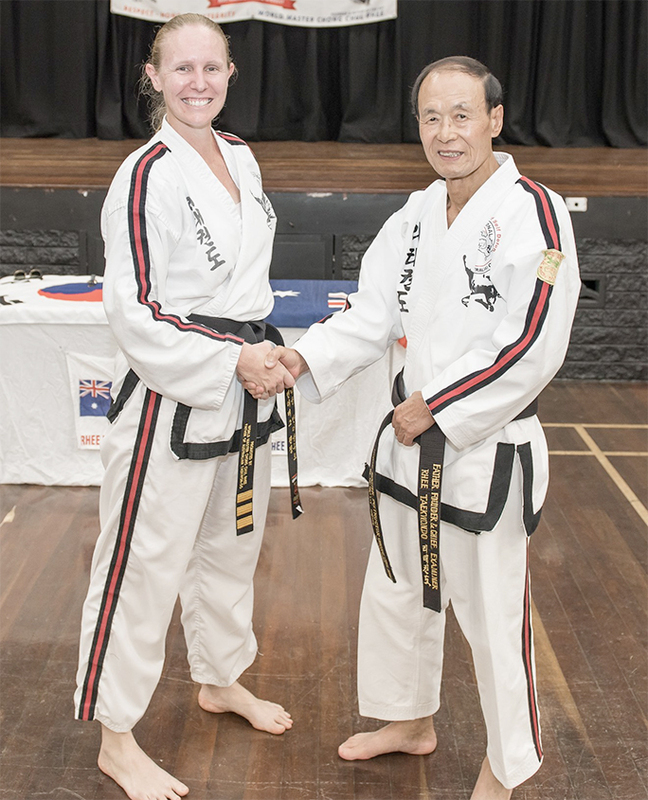 Bu Kwan Jang Nim (Assistant Regional Instructor) Nicole has accumulated over 16 years’ worth of experience in teaching students of all ages how they can improve their lives through martial arts. In 2011 Nicole was a pioneer within our organization by creating and adapting Rhee Taekwondo self-defence drills and techniques suitable for a 3-5 year child to learn as well as the skills required to teach it to children of that age. As a result Nicole remains at the forefront of the martial art industry when it comes to getting results for children of this age. Nicole runs multiple classes per week specifically for 3-5 year old children which has been affectionately called Juniors, her classes are often booked out due to high demand and children who graduate from this prep program seem to flourish once they enter the “big kids” classes as they’ve had the advantage of already learning how to learn. 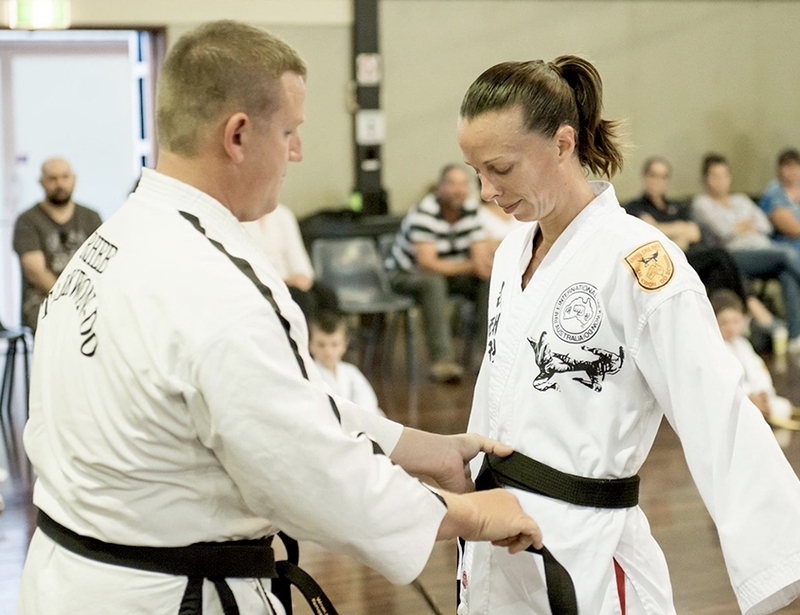 Nicole is the second highest ranking instructor in Bundaberg and one of the top 5 highest ranking female instructors in the whole of Queensland and Bundaberg is very lucky to have her. Andrew began studying Rhee Taekwondo as an adult, primarily to try and loose some weight, and get a little fitter. 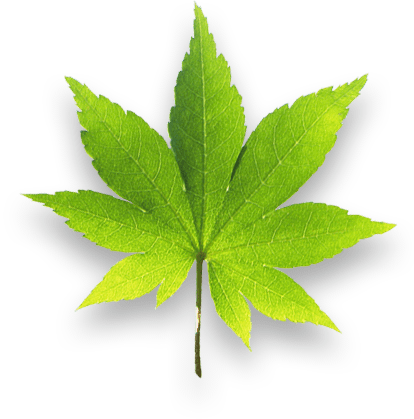 He stayed because it was fun; he made some friends and found some personal mental health advantages in staying. Andrew took some time out between starting his journey and earning his black belt as his work took him away so it has taken him many years to get there, but thanks to the instructors and other students who all train together, get there he did. 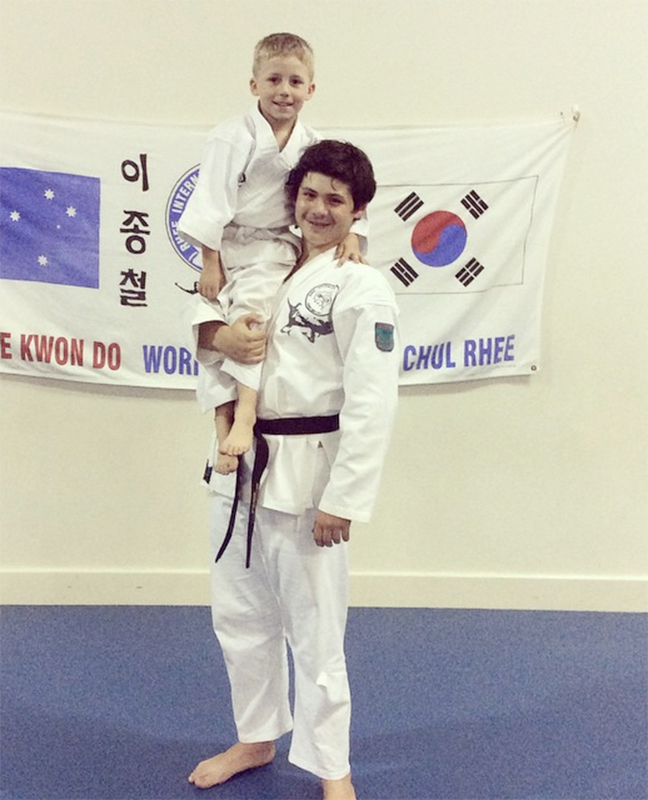 He is a dad with two children, and Sam his son studies Rhee Taekwondo as well. Sam does it because it is ‘awesome’ and because mum and dad appreciate the benefit of the physical skills and discipline for a young boy with ADHD and dyspraxia. Andrew enjoys a combination of training with and assisting in classes, trying to pass on a combination of the skills that he has learned and the motivation for training, and as a means of honouring those who spent the accumulated hours training me, and sharing an art he values. Bu SaBum Cody began his training in Rhee Taekwondo in 2009 at the age of 8 because of constant bullying at school. 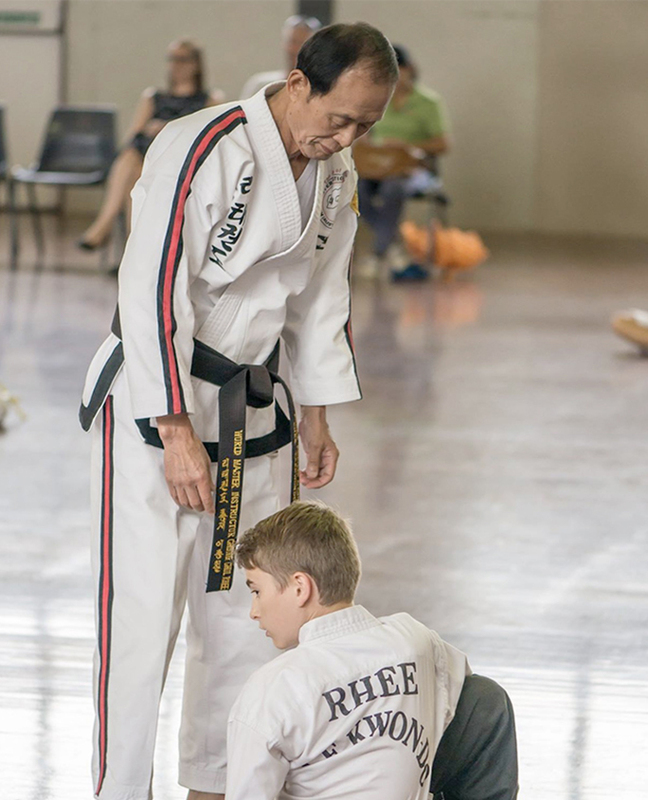 Shortly after joining Rhee Taekwondo his confidence and self-esteem increased to the point where this was no longer a problem and as such gives him valuable “been there” insight into helping young children that join who are going through the same problems. Added to this Cody was not a natural athlete however due to his strong mindset he was able to overcome many challenges and to earn his Junior Black Belt in 2011 at the age of 10. 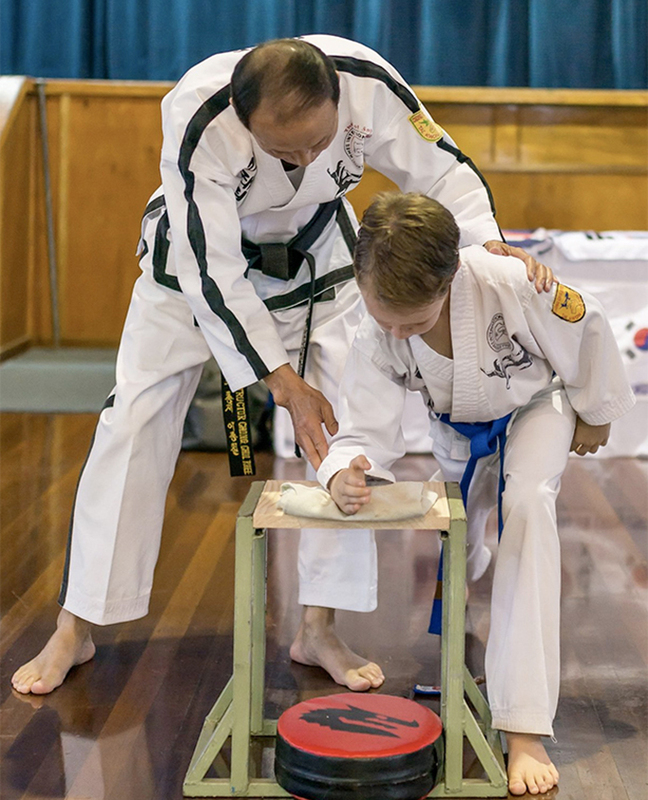 Since then Cody has continued to apply strength of character and self-discipline allowing him to achieve his 1st degree black belt in 2015 at the young age of 14 and the rank of Bu Sabum, assistant instructor. Utilising the skills he has learned to crush challenges in and outside of the dojang (training hall) has put Cody is in a unique position to pass this knowledge on first hand to other children, of the same generation, going through similar difficulties and has taken on a “big brother” role to many of the younger students who relate to him easier than the older instructors. 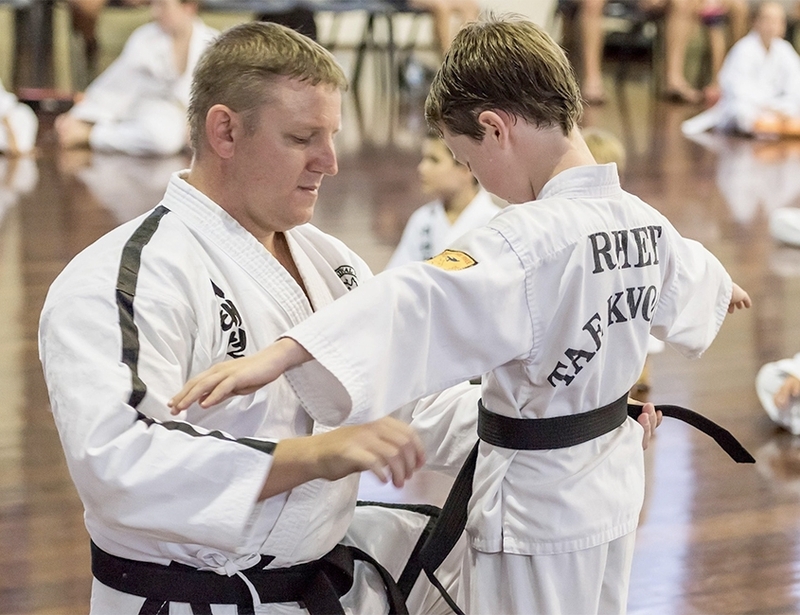 As one of the longest serving assistant instructor for Bundaberg Cody has been instrumental in the futures of many students in their desire to become black belts and leaders. 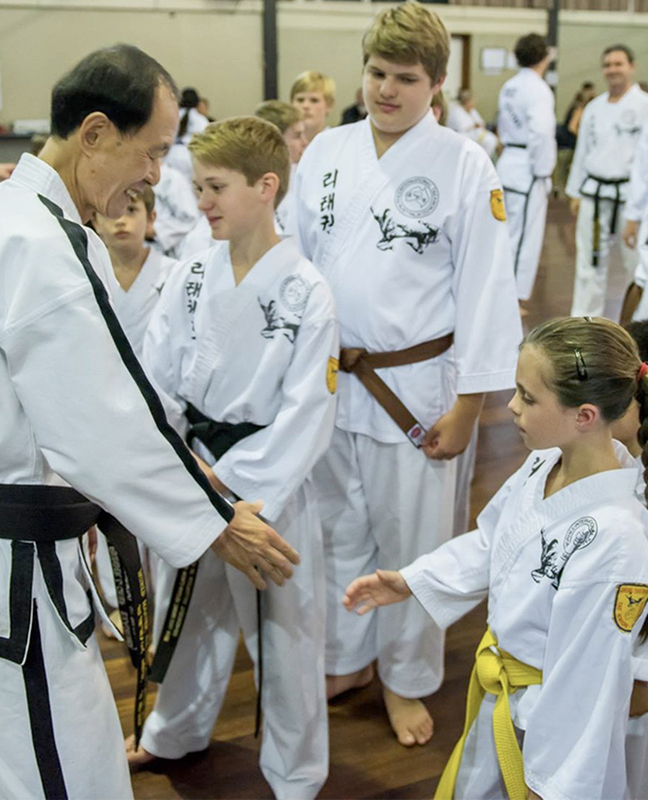 Cody’s ambition to teach and assist those who have that drive and determination within them to achieve their goals within Rhee Taekwondo is apparent to anyone who participates in a class with him present. 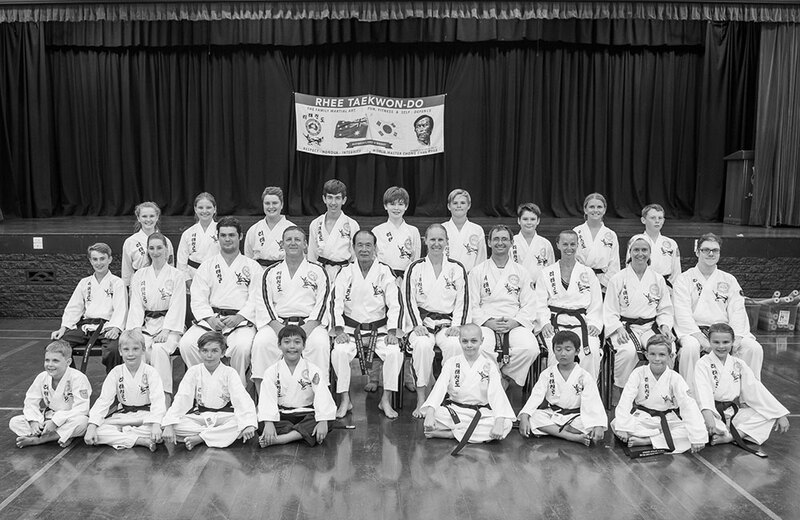 Claire began Rhee Taekwondo in late 2006 at 11 years of age in Maryborough. Originally beginning to gain a little more self-confidence Claire was able to gain multiple benefits and in 2010 she achieved a much coveted black belt. 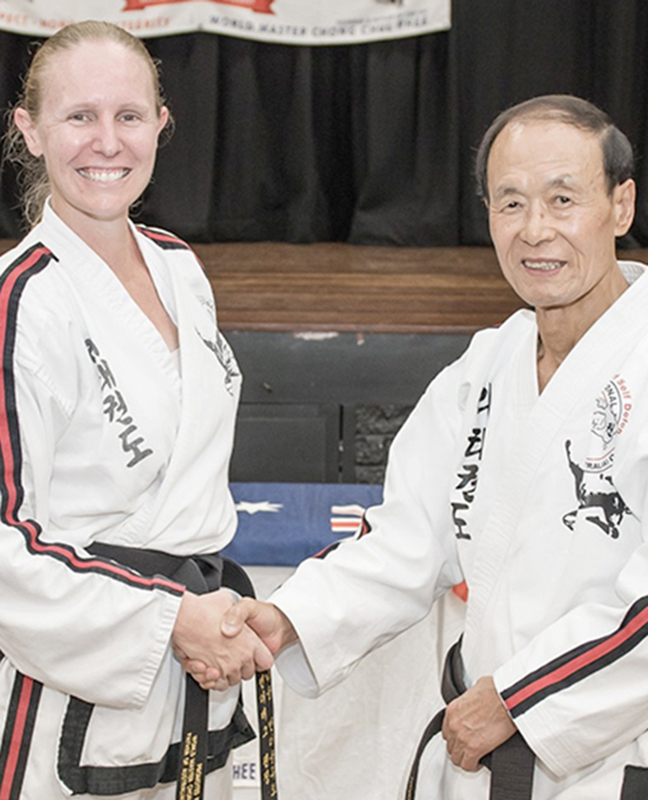 Claire has learned much from her years of training, way beyond the expected physical benefits, and is confident that Rhee Taekwondo has been the biggest help in achieving mental strength and goals. 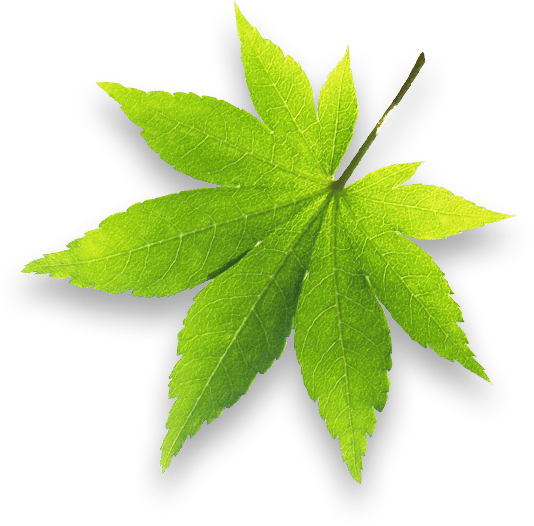 Having overcome personal experiences with anxiety and confidence issues Claire devotes time and energy to teaching others that they don’t need to accept these conditions that effect so many young people today. Claire believes it is becoming increasingly important for people of all ages to develop self-defence against their own negative thoughts as well as physical self-defence against bullies and dangerous people and one of the best ways to teach that is through Rhee Taekwondo. 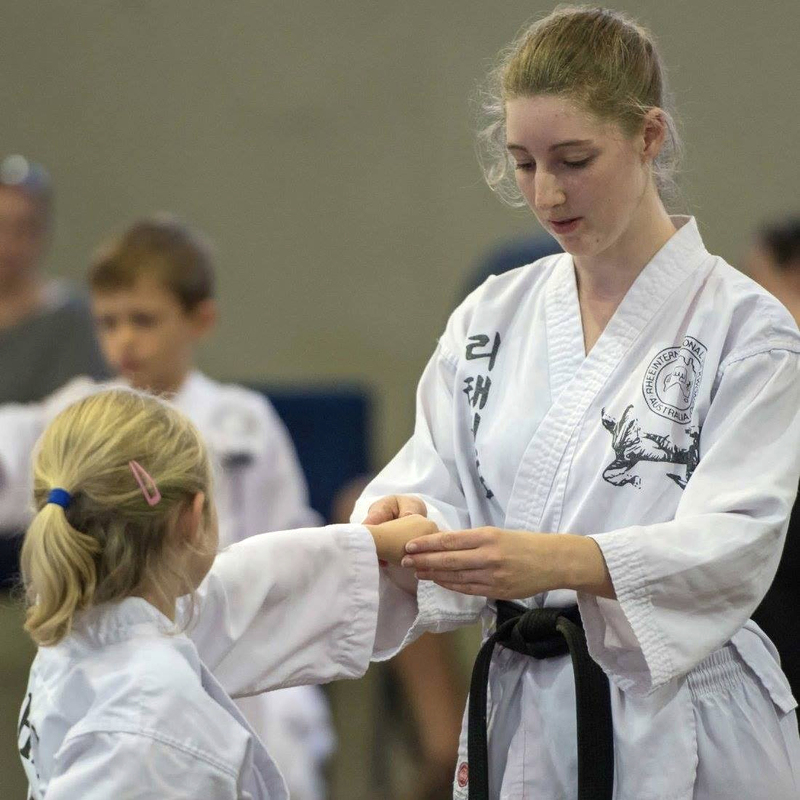 In 2015 Claire moved to Bundaberg and began training under Kwan Jang Nim Nathan and soon found her niche with assisting Bu Kwan Jang Nim Nicole with the Junior 3-5s classes, where she has quickly become an important figure in the lives of many children. Claire has earned the rank of assistant instructor and has just begun a family of her own with hopes that there will be time in the future to run and operate her own classes independently. 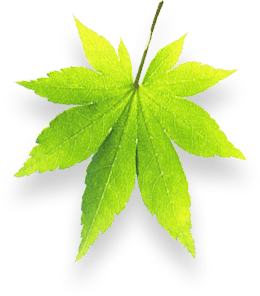 Claire’s aim is to help young people learn how to protect themselves and become strong mentally and physically through their study of the art of Rhee Taekwondo. 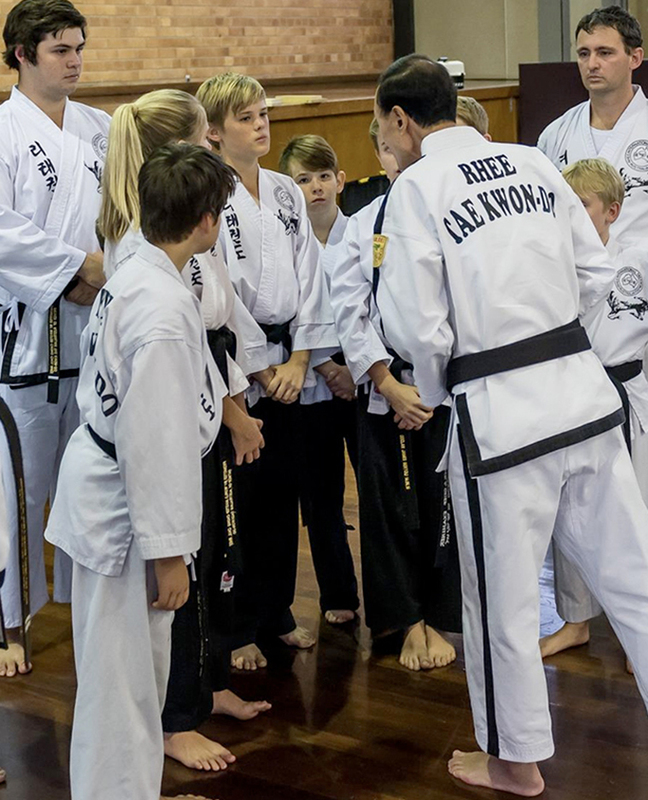 Rhee Taekwondo Bundaberg has a unique rank for children who achieve their Junior Black Belts and who continue to display leadership qualities above and beyond the already high standards of their counterparts. 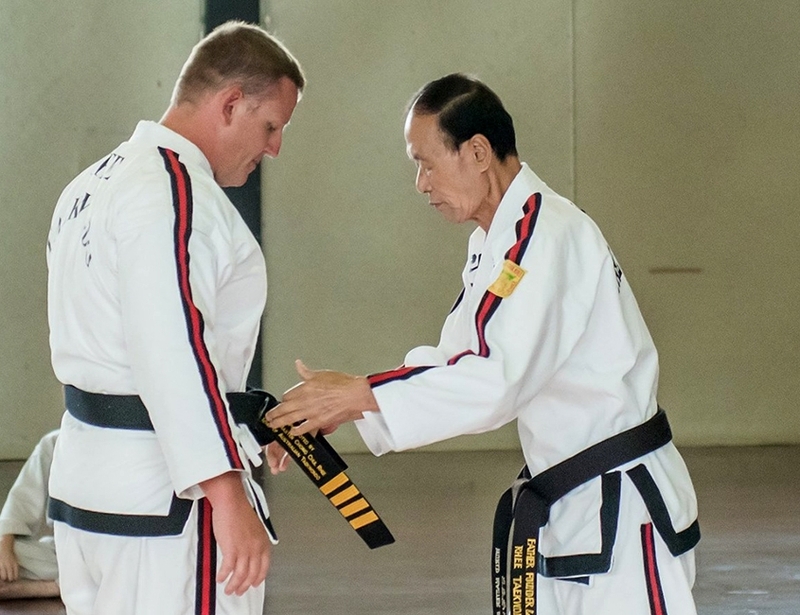 This rank, created by World Master Rhee, is called the Junior Instructor and is easily recognizable by the black pants worn by those who have shown an ongoing commitment to learning, setting a high example and willingness to assist in the teaching of students yet to achieve their black belts. This rank also serves as a good reminder for younger members that the learning doesn’t end at black belt and even as a child there is much more to learn and harder challenges to overcome. As we remind all of our black belts: You’ve worked very hard to become a black belt, now it’s time to work harder to BE a black belt!